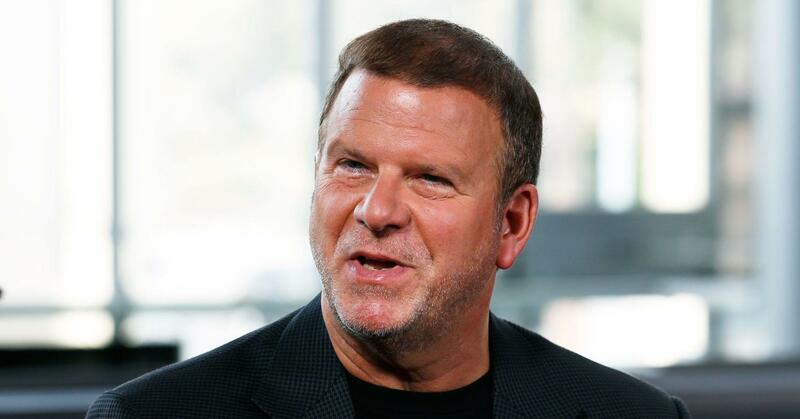 As the Billion Dollar Buyer, Tillman Fertitta entertains CNBC audiences on a weekly basis as he evaluates the merits of two small businesses, each of which is hoping to land a lucrative contract as a vendor to his Houston-based Landry’s hospitality group. He looks at the merits of the particular business, points out its shortcomings, and offers suggestions on how to improve the product. In end, one of the companies – maybe both, sometimes neither – lands an agreement with one of Landry’s 600 restaurant and hospitality properties in 36 states and more than 15 countries. Maybe Fertitta’s ongoing dance with Caesars Entertainment is an episode of Billion Dollar Buyer. Fertitta, 61, who also owns the five Golden Nugget hotel-casinos and the NBA’s Houston Rockets, clearly wants all, or at least a piece, of the Caesars empire. Neither is corporate raider Carl Icahn. 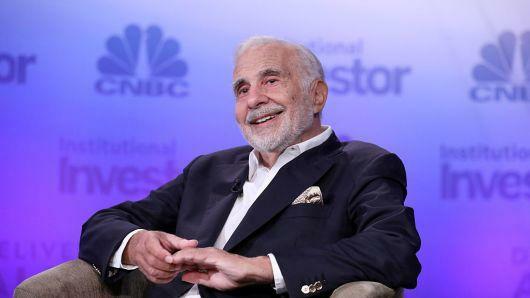 On Tuesday, Icahn, 83, who has owned several gaming companies and casino-resorts over the years, confirmed his own long-reported interest in Caesars, but he’s not looking to buy the company. In a filing with the Securities and Exchange Commission, Icahn disclosed a 9.78 percent stake in Caesars and urged the board to sell the business. He also acquired economic exposure to another 10.7 percent of the company through a financial swap. The move will generate profits if Caesars’ share price rises. “(The) board should conduct a strategic process to comprehensively assess the best path forward for Caesars, and (we) believe that shareholder value might be best served, and enhanced, by selling the company,” Icahn said in the regulatory filing. Based on the current make-up of the top gaming industry companies, Fertitta might be the only logical buyer. Caesars, which has some 40 casino properties in 13 states and owns the World Series of Poker, could be a federal antitrust nightmare for several acquirers. Recent deals, such as Penn National Gaming’s acquisition of rival Pinnacle, needed a third party to pass Federal Trade Commission muster, which is why Boyd Gaming stepped in and bought four of Pinnacle’s casinos. Eldorado Resorts has 27 casino properties in 13 states; Boyd now operates 29 casinos in 10 states, 12 of which are in Nevada. Meanwhile, Penn National – the industry’s largest regional casino operator – will have 42 casinos in 19 states by the end of next year. Caesars has nine properties on or near the Las Vegas Strip. That takes MGM Resorts International – which operates 10 Strip resorts and owns 50 percent of CityCenter – out of the picture. Last fall, Fertitta presented a proposal stipulating that Caesars acquire Golden Nugget. Per the agreement, Fertitta would have taken control of the combined gaming conglomerate. On Saturday, Bloomberg News reported Fertitta bought 4 million shares of Caesars – a less than 1 percent stake – because, according to an unnamed source, he thinks the company is undervalued. The source told Bloomberg that Fertitta remains interested in combining his Golden Nugget brand with Caesars. Golden Nugget currently has casinos in Las Vegas; Atlantic City; Biloxi, Mississippi; Lake Charles, Louisiana; and Laughlin, Nevada. Icahn, for his part, has enough skin in the game to force the company’s hand. “We believe that our brand of activism is well-suited to the situation at Caesars, which requires new thought, new leadership and new strategies… (we) have acquired a substantial investment in the issuer in the belief that it will provide us with significant influence in the company’s future,” Icahn said in the SEC filing. Fertitta who currently is No. 153 on the Forbes 400 with a net worth of $4.8 billion, isn’t shy about spending money on something he wants. He took Landry’s private in a $1.4 billion deal in 2010 and spent $2.2 billion on the Rockets in 2017. That’s where the CNBC show earned the name Billion Dollar Buyer. Caesars is still searching for a new CEO following November’s announcement that Mark Frissora would step away from the position this month. When the search stalled, Frissora agreed to stay on the job through April. Icahn told the company in the SEC filing to abandon the CEO pursuit. “We look forward to holding discussions with the board, and importantly, we expect the issuer to refrain from appointing a new CEO (or further extending Mark Frissora’s tenure) until we have had an opportunity to meaningfully engage with the board,” Icahn said. On Tuesday, Caesars shares jumped more than 5.14 percent following Icahn’s SEC filing to close at $9.62 on the Nasdaq. Icahn, 83, is currently No. 31 on the Forbes 400 with a net worth of $17.7 billion. Maybe Caesars needs two billion-dollar buyers.